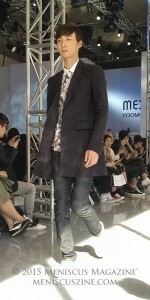 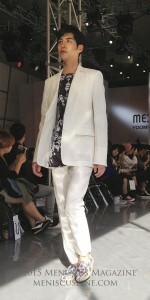 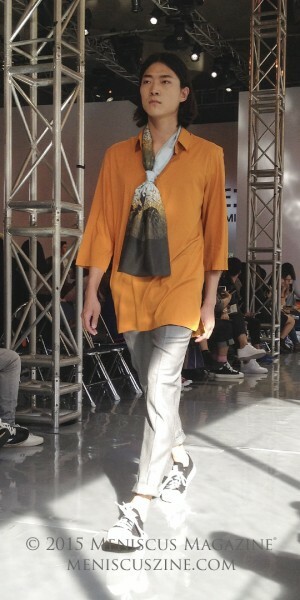 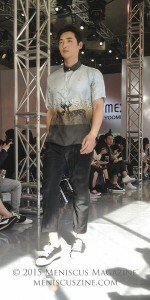 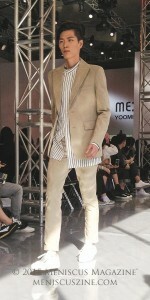 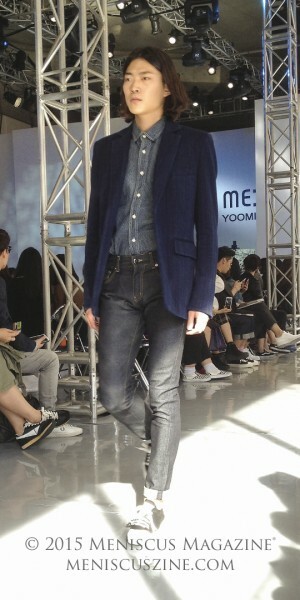 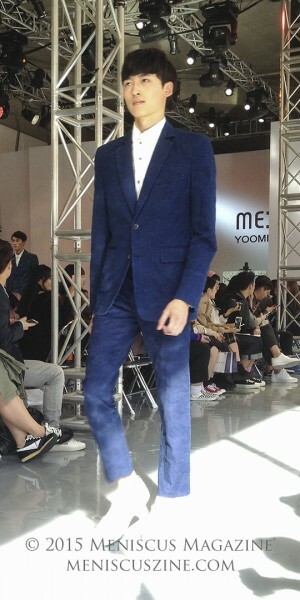 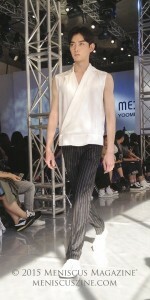 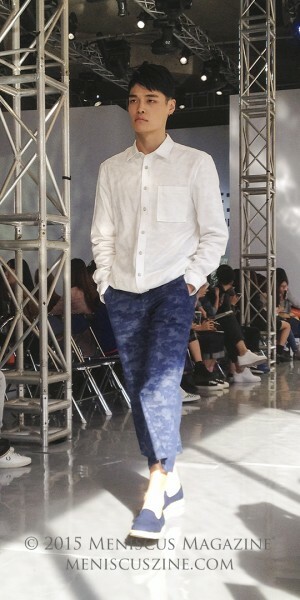 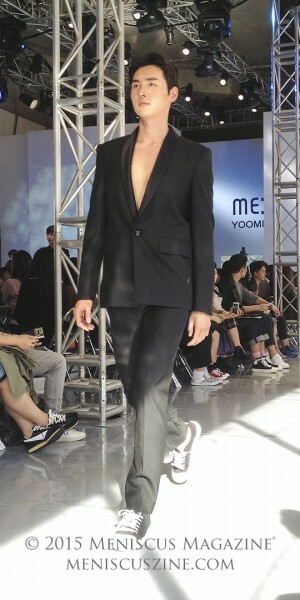 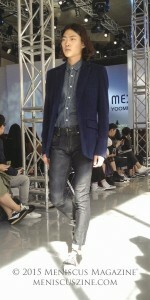 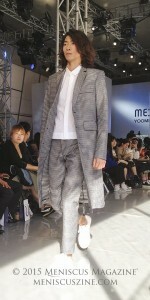 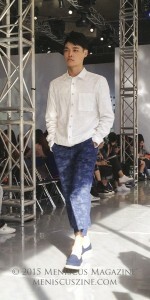 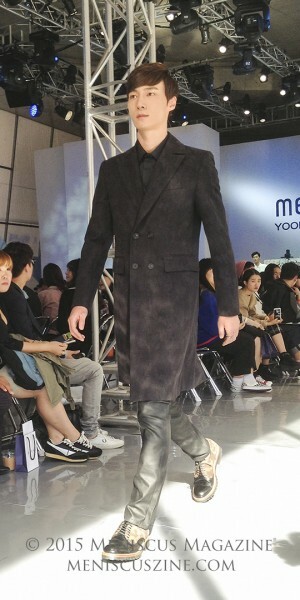 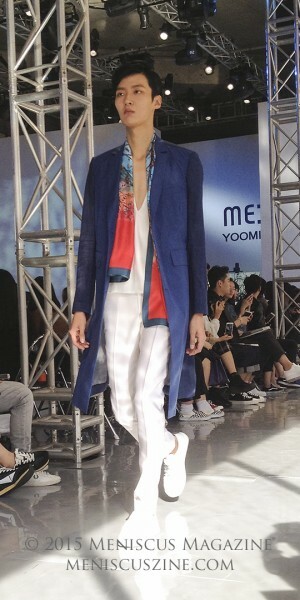 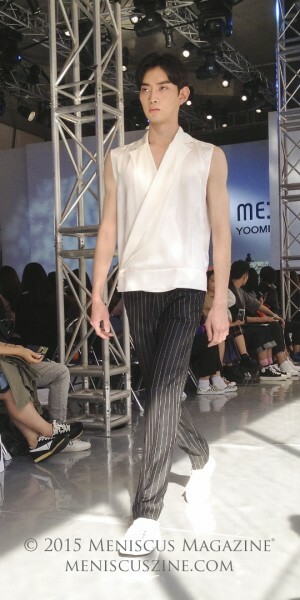 The ME:YOOMI Spring 2016 menswear collection by Yoomi Chu drew from nature and art. 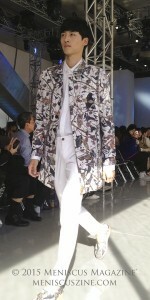 The latter was clearly evident on the runway at Seoul Fashion Week, with the show opening not with lanky models, but with abstract expressionist painter Park Jung-sun painting an impromptu work for the crowd. The work, like most of Park’s other paintings, was an emotional release of lines and colors that evoked the best of Jackson Pollock. 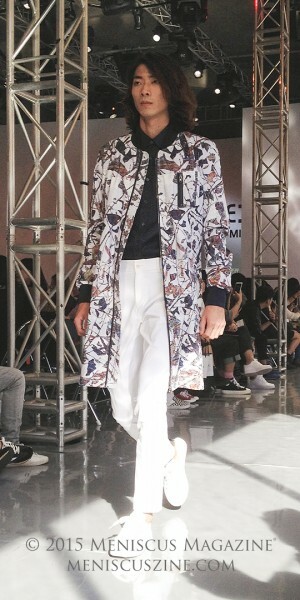 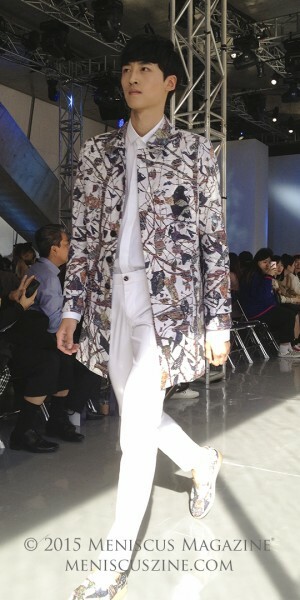 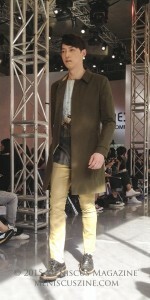 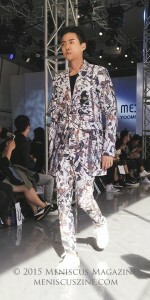 These translated to the clothes itself, which featured a host of business casual suits and denim heavy looks that were accented by Park’s nature-themed design prints. 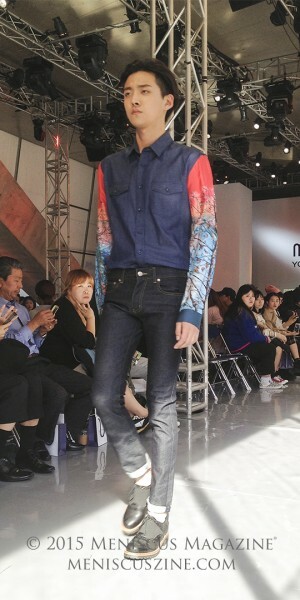 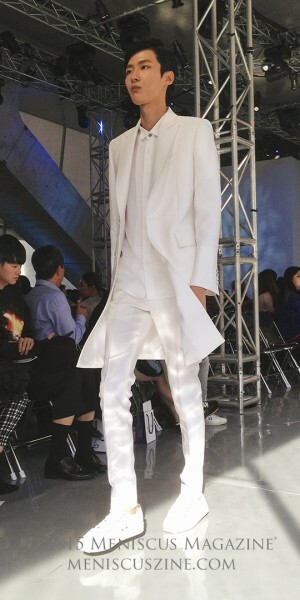 However, Chu’s emphasis of using Park’s designs in the clothing somewhat missed the mark. Although a few of Park’s prints are inspired, the combined aesthetics of both artist and fashion designer often made the clothing look busy, reaching for a sense of edge and refinement that was often not there. Equally uninspiring is the heavy use of white, blue and green: a cliché color palette for a spring season wardrobe. 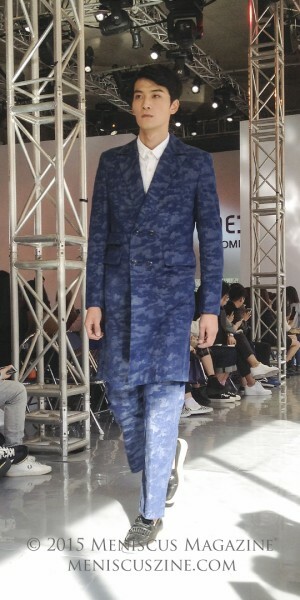 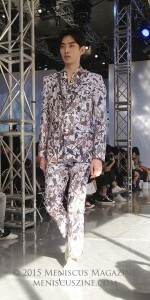 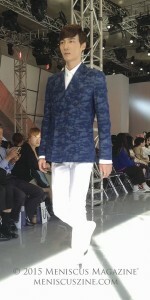 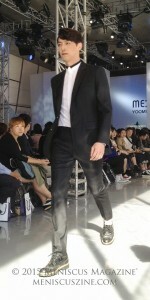 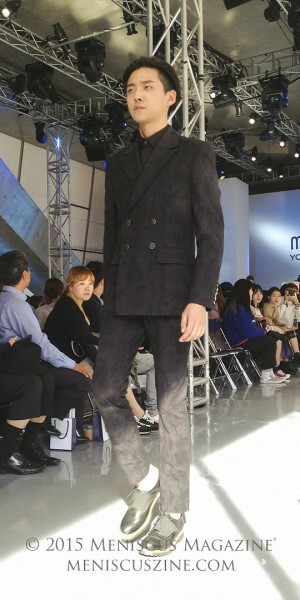 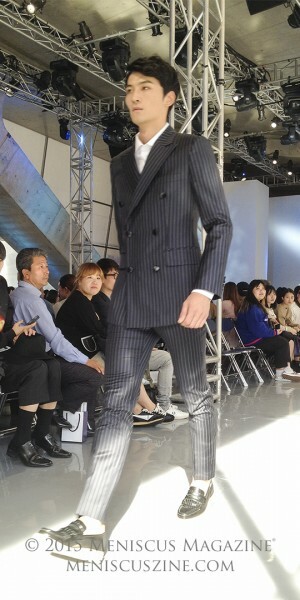 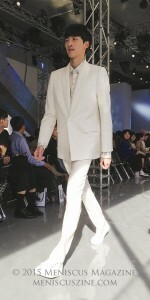 Thematically, Chu has stated that the theme for this collection would be “Freedom and Aspiration,” but it offered only slim-cut form fitted suits, jackets and pants. 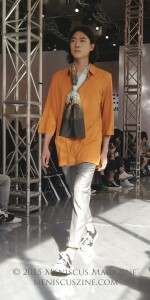 Nothing about this collection evoked hope, ambition or a sense of openness. 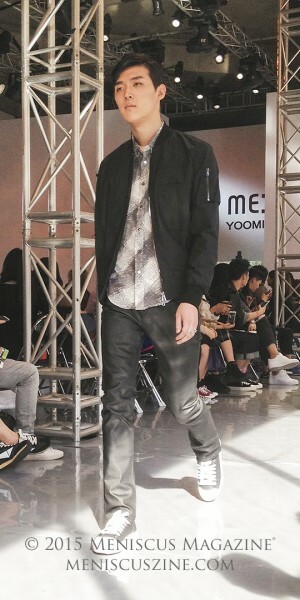 Yet, whenever the designer kept Park’s influence at a minimum and emphasized her brand’s mission to produce clothing that adhered to a urban business casual look, the clothes seemed to evoke the refined sensibility that ME: YOOMI prides themselves on.